Art can create and transform a city’s identity or revive it by drawing in the eyes of visitors. It gives residents a sense of home and culture that is unique to them and memorable to others. It can solve issues like vandalism and crime while looking good doing it. As cities implement art, they’re discovering more practical uses with each program and cultivating a closer connection with their community in the process. While art is beautiful to observe, it serves a practical purpose. Cities across the world have created interesting crosswalks to make pedestrians and drivers pay attention. Large installments — like “Cloud Gate,” fondly called “The Bean” in Chicago — have become a tourist attractions and a symbols of identity. Art has always been used as a way to define a city, and now more cities are also viewing it as a way to resolve problems. In Sonoma County, Calif., on Laughlin Road, sit two metal vultures, awaiting their prey. At 7 feet tall, they’re perched atop a yellow clearance boom as a warning to semi-truck drivers about limits. The sculptures came from a constant problem of truck drivers ignoring flags and size limit signs, resulting in damages that create road closures that wouldn’t only inconvenience residents but cost time and resources for them and the county. County believes it is a forerunner in the U.S. 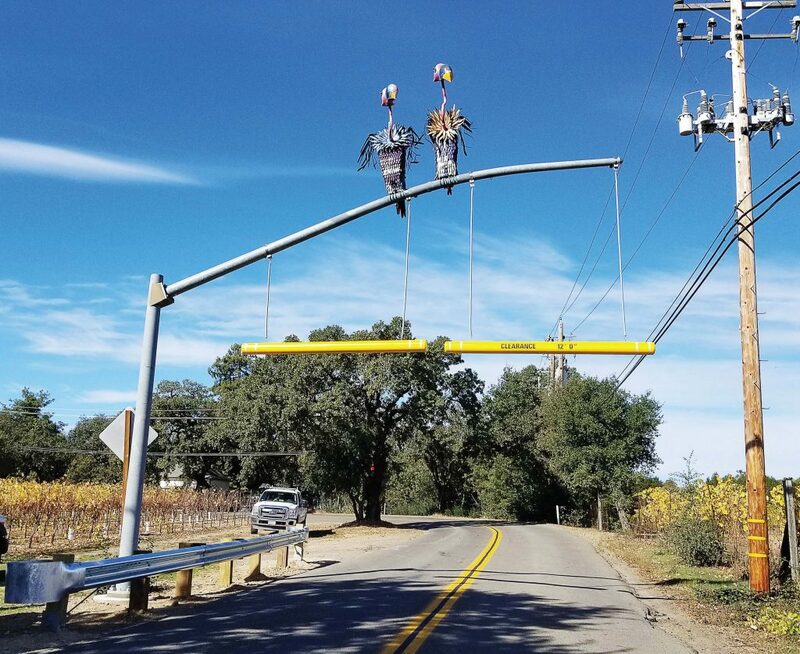 There haven’t been any incidents since the sculpture installation in late 2018, to the delight of Sonoma County. While it brought more awareness to the issue, the installation also generated positive attention from the public and media. 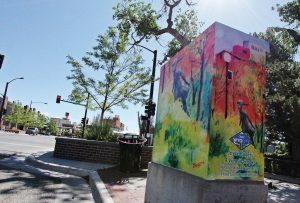 In Casper, Wyo., the city is combating vandalism through beautification — specifically covering the traffic signal cabinets in art. This may not be unique to other cities, but utilizing vinyl wrap is a new twist. Using vinyl not only saves time for the artists and the city, it is also easy to install. In 2018, the project was budgeted for $3,000 but cost $2,800 in total, which included installation, printing and paying the artists. Every year five art submission winners’ pieces cover the boxes. “The technology has gotten less expensive. Vinyl is resilient, washable and replaceable. Our local company gives us a good deal for the wraps,” informed Beth Andress, Casper’s beautification coordinator. “Public art doesn’t have to be a $50,000 mural and the artists don’t have to be out there for five days, painting it on the box. It takes less of their time and our time. Despite a municipality having a myriad of people and ways to communicate, partnering with Casper Artists’ Guild was the best step to make it all happen, according to Andress. 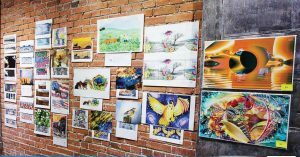 The guild was able to speak with local artists and had access to them in ways the city didn’t, which proved helpful and beneficial for all parties. Andress recalled a 96-year-old artist who had been a winner and had only heard of the program through the guild as it was the place she visited regularly. 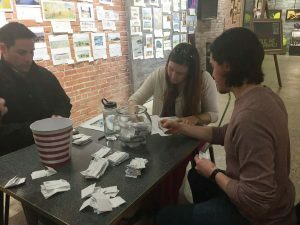 The guild also hosts art shows, which gives the public a chance to vote on one art piece they’d like to win while also giving artists the opportunity to show their work to friends and family. Casper has seen a decrease in graffiti and vandalism since art installations. “We’ve also done four murals. The way we do art is really about graffiti and vandalism,” Andress explained. “Art locations are picked purely where we own the wall and box, and where it’s being graffitied. I think this is a better way than putting up cameras. 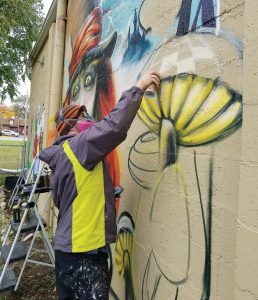 Flint Public Arts Project set out years ago to rejuvenate the city and its history of murals in Flint, Mich. After receiving negative press from the water crisis, artists and various nonprofit organizations banded together to display the city’s culture and shine positivity on the city. 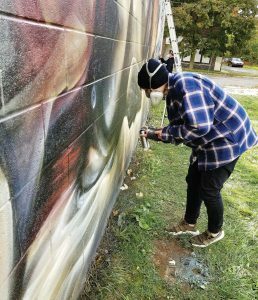 Joseph Schipani, former executive director of Amplifier, which FPAP was originally a part of, shared the one example of murals changing the perception of Flint was in 2012. An old run-down building that attracted drug dealing and prostitution prompted a neighborhood to ask about an artistic solution. Along with deterring crime and serving as beautification, some of the public art projects focus on promoting local businesses. The most recently completed project was on the walls of a local bookstore located on the outskirts of the downtown area. It catches the eyes of people who would otherwise drive past the business and has become an attraction for visitors. Nonetheless, Schipani and Flint residents see this as a turning point for the city.